Hardcover, 8.75 x 10.5 in. / 240 pgs / 180 color. Text by Claire Doherty, Gavin Wade. 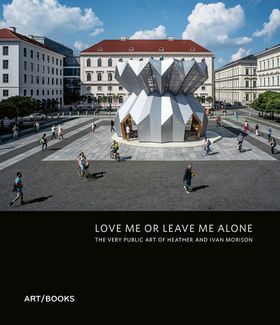 This monograph documents works by Studio Morison, established in 2003 by British artists Heather Morison (born 1973) and Ivan Morison (born 1974), known for their large-scale, architectural sculptures in public environments. Texts by curators, architects, sci-fi writers and collaborators accompany the duo’s reflections on each work. FORMAT: Hbk, 8.75 x 10.5 in. / 240 pgs / 180 color.